We believe it is important to be transparent and up front about the services we offer and how much it will cost. We realise getting help from a professional can prove expensive and have set out to make the prices as affordable as we can. Please do not let cost stop you from getting support- speak to us about the options that might be available. In the first instance please call or email us. We offer a free initial discussions via phone or email about what support or service you need and what we might be able to do to help. Also if you book us for an assessment or training session and you feel unhappy with our approach within the first half hour and wish to stop we will not charge you for the session (see Guarantees section below). So, please get in touch – you have nothing to lose! We accept payment by cash, by Bacs or by Paypal. Standard Assessment. This is carried out in your own home and typically lasts 2 hours. During this session we shall go into your dogs issues, history, your concerns and your goals. I shall introduce and suggest what training I feel would help and explain how I feel is the best way to proceed to deal with the issues. You will receive a written support plan for your dog detailing what we discussed and the plan of action. This will be further supported with extra handouts detailing any functional training that we covered. There is a follow up session included in the initial fee. For more complex cases extra sessions may be needed and I shall advise this in the programme for your dog. You can have as many or as few extra sessions as you wish. Fee for initial intervention- £150. A deposit of £50 is needed to secure the booking with the balance payable at the assessment. You will also be asked to complete a short on line history form. Extra travel costs may be added, and if this is the case you will be advised of this at time of booking. Extra Sessions Fees: £50 per session for set up work, £40 for general support sessions/coaching walks. Sessions last approximately 1 hour. If I come out of Torbay for the session then travel costs will also be added. If you book 3 support sessions in advance this is £100, a saving of £20. 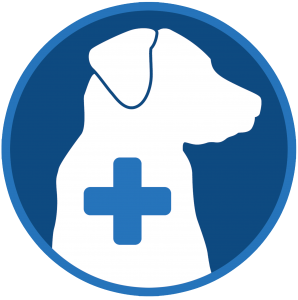 NOTE: It is essential for many issues that the dog be checked with a Vet for any underlying medical problems before we start treating behaviours. This is especially true for issues involving aggression. If you have not come from a Vet referral I might make it a condition of us working together that you get this done. This service provides a whole days support and training. This will take place at a special secure location and will include the initial consult, training support and practicing of training during the day. It involves more education than the standard consultation and more chance to practice and trial training plans. During the day session we can assess the dog with stooge dogs, create a tailored training plan and practice the training plan in a secure location with stooge dogs before taking the training out into public. This service still comes with a tailored support plan. There is a £100 deposit, with the balance paid on the day. Functional training deals with teaching of new skills and cues such as sit, down, recall, retrieve, scent work, tracking etc. The first training session is £70 which includes an introduction to the training and development of a training plan. All furthers sessions are £30. Please note: services provided by Training Partners are given at their own rates. With my puppy 1 – 2 – 1 we will look at all the important aspects of having a puppy – house training, socialisation (MEGA IMPORTANT!! ), teaching bite inhibition (MEGA MEGA IMPORTANT! ), getting the right food, teaching good manners and looking at the basics of sit, down, recall and walking on a loose leash. I also cover the common puppy problems such as nipping, chewing, stealing, jumping up, barking etc and how to deal with them in a humane, non conflict way. You will learn about the facts behind dog behaviour not the myths. I also send you a free E Book by Ian Dunbar plus access to a fantastic training DVD. My puppy 1 -2 – 1 last a couple of hours in your own home and is supported with handouts on all the areas we discuss. Plus you can contact me anytime for extra help and support as your pup grows up – sometimes just a chat on the phone can help!